With an impressive line up including the likes of Chad Valley, Halls, Egyptian Hip Hop and an array of local talent fitting everyone you'd hoped to see in to one night was going to be a tough feat to overcome. Luckily the planners and organisers at Fear of Fiction's debut festival were kind to our feet. Based in Bristol's vibrant Stokes Croft all venues were in very close proximity to each other resulting in a much more intimate affair, the special ingredient many festivals neglect. And with inner-city events springing up over the country curating a line up that would remain appealing to the masses yet continue to push the boundaries showcasing new and emerging musicians is never easy to achieve. With plenty on offer throughout the day with their diverse and fruitful line-up Fear of Fiction was sure to be a great success. 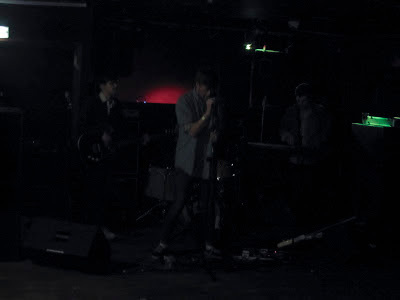 First on the bill for me whilst waiting for peers was Thumpers at Lakota. A delightful band from London making music that would have a hard time trying to offend anyone. 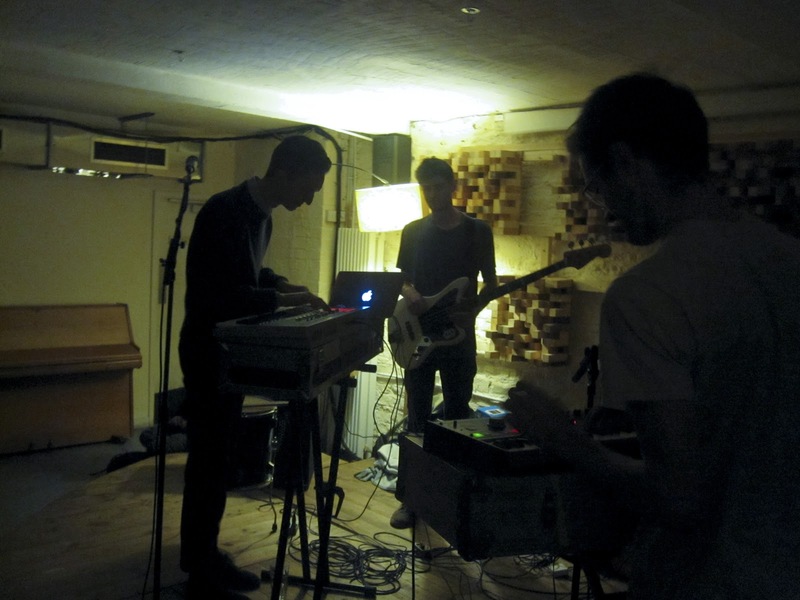 Lashings of summery dream pop on a cold Novembers evening. Just what the doctor ordered to get the crowd warmed up. Next on the agenda was a band I've been wanting to see ever since hearing their single 'Football' over 2 years ago (which unfortunately they didn't play). Sadly most festival goers must have been at Idles as the turnout wasn't too great neither did it look like Peers were having a great time on stage. 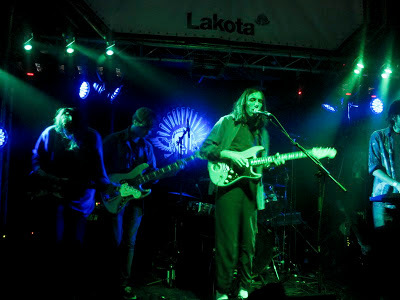 After playing through 2 songs half-heartedly and taking a break to chat they powered through some of their newer tracks, this time with a little more energy and enjoyment. Their vibe definitely improved as their set progressed and it was nice to see them end with a smile. As always, stumbling upon acts without no prior knowledge often brings great rewards. Such as the case with My Tiger My Timing. A cogent display of female fronted indie synth greatness. Their rhythmic fluctuations pulsate throughout Lakota's main room to an eagerly receptive crowd. Next up was Halls a short walk away at the delightfully quirky Cafe Kino. Whilst Samuel Howard's music remains calm the atmosphere down below the cafe was very vibrant. Drawing in the biggest crowd from all the bands I'd seen on the line up so far Halls played a heartwarmingly moving set to a highly attentive and intimate crowd. I couldn't think of a better venue for Halls to have played. A perfect setting that really made his ethereal music come alive. Witnessing his orchestrally dark compositions live really gave a sense of deep self absorbed rumination. Howard's delicate use of space is even more captivating in person with his instrumental sections hitting hard. It seems the crowd is just as in awe as myself. Despite a short set and minimal crowd interaction apart from saying his thanks it's safe to say everyone leaves pleased with a greater sense of self worth. A wodnerful and magical performance. 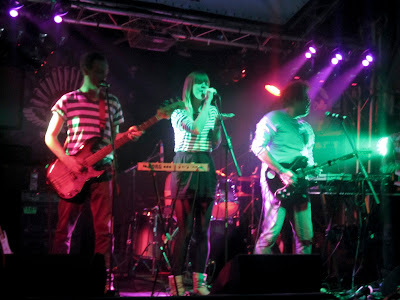 Another band I'd been looking forward to seeing was Islet. They've played a few festivals I've attended over the years but I've always managed to miss them so was looking forward to finally ticking them off my list. Whilst some of their music might remain too eclectic for some with their jangling bells and unconventional percussion their intrinsic beauty manages to draw the crowd who're somewhat intrigued yet enlightened. 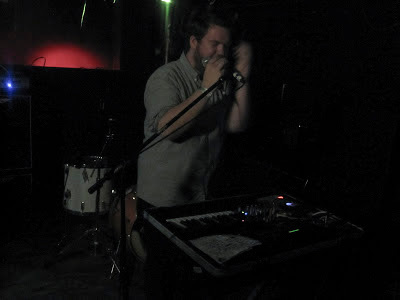 A powerful performance of explosive experimental Indie-Rock. Intense. Before I knew it I was back in Lakota. 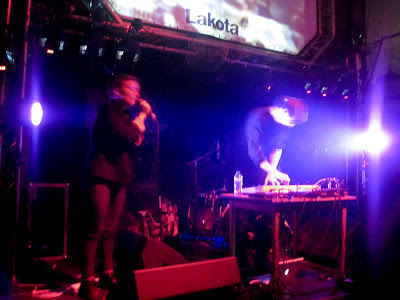 Labyrinth Ear, a big favourite of mine had taken the main stage. I'm always weary with electronic duos as to whether their music will sound equally as good live as it does on record yet Emily's vocal ability soon answered that. Tantalisingly engaging, oozing with her unique vehement charm. Whilst Tom took over synth duties the pair formed a coherent bond with their undulating sounds that efflux and echo throughout the stone wall venue. After catching a little of Blood Diamonds set after Labyrinth Ear I headed upstairs to see an artist I was most looking forward to, Chad Valley. Playing tracks old and new his simple set up of just two microphones with varying levels of reverb/effects and his table of electronic goodies what Hugo Manuel still managed to produce was nothing short of magnificent. His crystallised beats and piercingly soft vocals glided around in a swirl of ecstasy. With each track drifting seamlessly in to one another an intertwined beauty was formed between man and machine. Definitely my highlight of the festival, sublime in every sense of the word. In an interview with ThisisfakeDIY last year Hugo revealed how being a classically trained pianist helps him formulate his music "Every morning I'll go downstairs and make myself a coffee and play piano and that's how all my songs start, by playing piano" and this really shows in his playing abilities. Watching him build his layered chillwave synth pop in front of the glazed eyed, wide smiled audience was truly a mesmerising experience. One I was glad to be a part of. Rounding up the very first Fear of fiction festival for me was Egyptian Hip Hop. Now I don't know if it was because I was on such a high from Chad Valley's uplifting set but to me Egyptian hip Hop fell short on the wow factor. Whilst great on paper (Or record in this case) and having an already trailing hype from their first releases it would seem after their short hiatus they have become a whole lot more pretentious. Maybe too much for their own good. After playing through two or three songs the band just walk off to what I assume to be technical difficulties, they sounded fine to me. Upon their return the crowd seem somewhat disengaged. I don't doubt their ability as a band to make great music but live it's just not happening, whilst in the crowd remained an aura of cynicism and tension which never really departed. Lead singer Hewett swans about the stage seemingly rather disinterested. The only highlight being a dance off with one member of the audience adding a more uplifting element to their performance. I don't claim to be a musical genius but maybe some more consistency in their set list would have aided in a more thorough performance allowing them to live up to their hype. As far as debut festivals go Fear of Fiction was one hell of a blast. A monstrous line up featuring an incredible choice of bands and artists from across the country. With many inner city festivals spread out over large areas, getting from venue to venue often becomes a chore and you end up missing a lot of great music resulting in tired legs and unhappy faces. Combating this problem incorporating the bars and clubs along Stokes Croft the festival manages to retain it's intimate appeal and allows for a lot more music to be crammed in. My only downsides being the unfriendly door staff at Lakota. Firstly accusing my press wristband of being fake and then demanding to see my camera to prove that I was actual 'press' they sure know how to put a dampener on an evening. 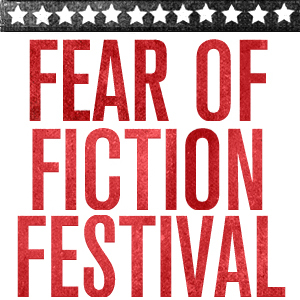 That aside a big thanks to all the staff at Fear of fiction for curating such a wonderful event. Hopefully there'll be many more to come!